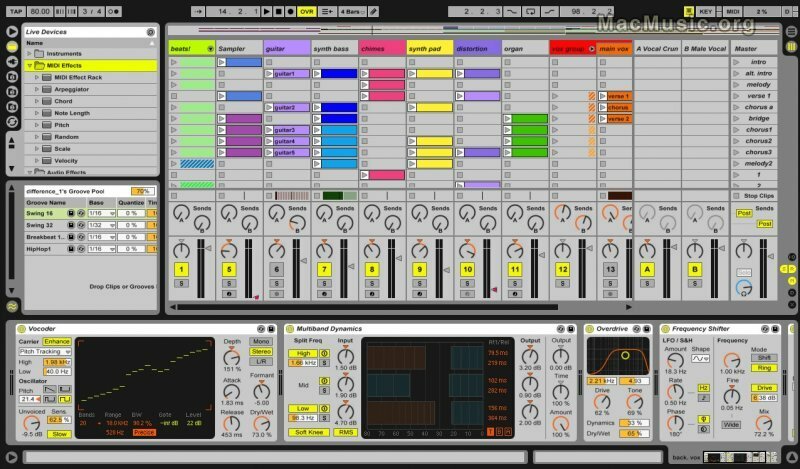 Ableton has updated Live 8 and Ableton Suite 8 to version 8.0.5. • When using the APC40 Controller surface script, we check if the selection MIDI ports are the one from the APC40. • Improved graphic performance when using Live on Windows 7 RC 1. On Mac OS X, Cocoa support for Audio Units. • Having an unfolded Live set file in the browser, now the tracks from that Live set can be inserted into the current set by double clicking too. In earlier versions it was only possible via drag'n'drop. • Controller surface support for the AKAI MPD-18, MPK-25, MPK-61 and MPK-88 controllers. • Controller surface support for OpenLabs devices.